As consumer demand for low-alcohol alternatives grows, Glen’s Vodka has released two flavoured spirits each bottled at 20% abv. 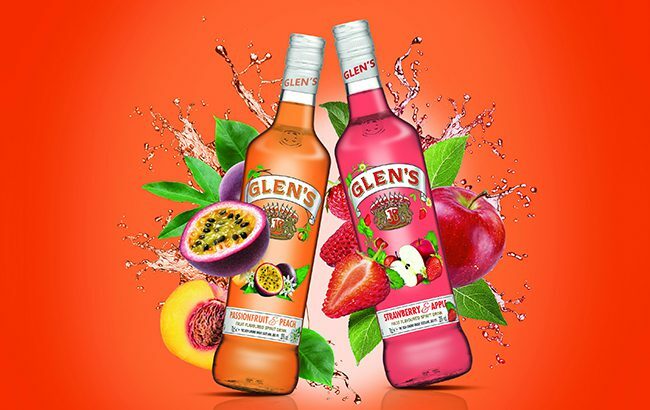 Glen’s Peach and Passionfruit and Glen’s Strawberry and Apple are based on Glen’s Vodka with added fruit flavours. The brand hopes the new range, Glen’s Flavours, will offer consumers a “simple solution” to making drinks without the need to “have dozens of ingredients”. Alisha Goodwin, Glen’s Vodka brand manager, said: “Glen’s Vodka has been the number one take home vodka brand in Scotland for many years and has performed particularly well for independent retailers. “As we enter the spring months, we are confident Glen’s Flavours will become the brand of choice for consumers looking for a refreshing spirit. The Glen’s Flavours range is available from wholesalers across Scotland at an RRP of £13.99 (US$18).